We’re very excited to announce the launch of power-ups! 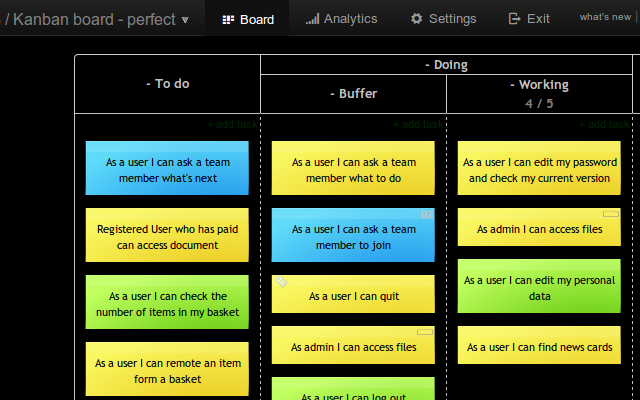 With power-ups you can customize your boards and fine-tune your experience with Kanban Tool. For start you can choose from the following: Card Block, Card Aging and Developer Tools. We are working to add even more awesomeness soon. Stay tuned! To get started, please go to the "Settings" page and visit the new "Power-ups" tab. Following is an outline of what you will find there. With this power-up cards can be marked as blocked from the context menu. Blocked cards cannot be moved, they have distinctive look and a message explaining why they are blocked. With this power-up cards without any activity become more transparent as time passes. 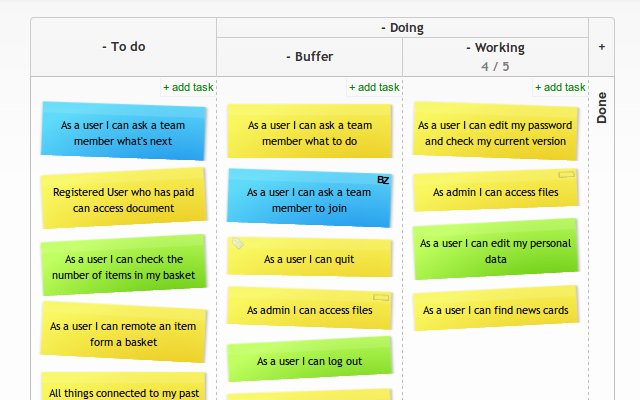 This is perfect if you display Kanban Tool on large TV screens. This script adds another option to the tools menu, which changes the default colors into high-contrast ones. Enable this script if you want to fine-tune the default font size and make it bigger. Use medium-font.css to make the font slightly bigger, and large-font.css to make it extra large. You can mix this script with High contrast to get even better experience on TV screens. Bored with perfect card alignment? 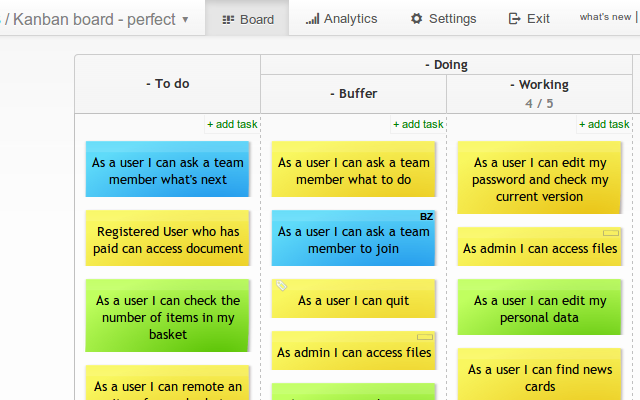 Try this out if you want to add more fun to your boards.